Stefan Parsons plans to make his NASCAR Camping World Truck Series debut Aug. 11 at Bristol (Tenn.) Motor Speedway. He’ll be behind the wheel of the No. 15 Premium Motorsports Chevrolet. Parsons is the son of former NASCAR driver Phil Parsons and nephew of 1973 NASCAR premier-series champion and NASCAR Hall of Famer Benny Parsons. 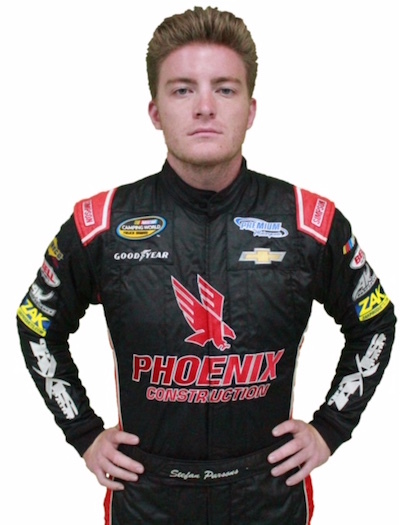 He competes in the NASCAR Whelen All-American Series and CARS Tour Series. He’ll be sponsored by Phoenix Construction, owned by former NASCAR team owner James Finch, for the Bristol race.